You know what would be sad? If this next game gets used as an example on why third party games don't sell on Wii. You know why. Enough about that though-- it's time for a brand-new review. This time we're taking a look at Call of Duty: Modern Warfare: Reflex Edition for Wii. It's a two year-old port of the original HD Call of Duty 4. Is this reflex agile enough for the Wii? 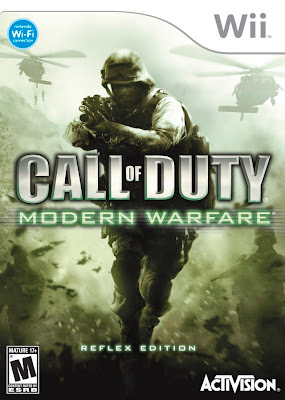 The original Call of Duty: Modern Warfare was a hit on a grand scale-- no, make that an epic scale. 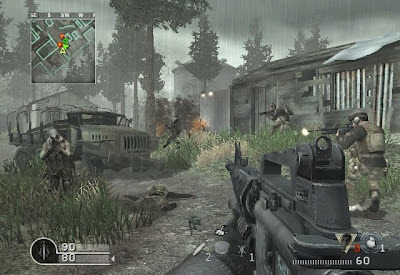 With a Hollywood-style presentation, great levels and multi-player, and a harrowing single-player experience, Modern Warfare was 2007's big blockbuster. It's two years later and the sequel to the game is hitting the HD consoles while the Wii is just finally seeing the original Modern Warfare. Says a lot about the state of third parties on Wii, doesn't it? 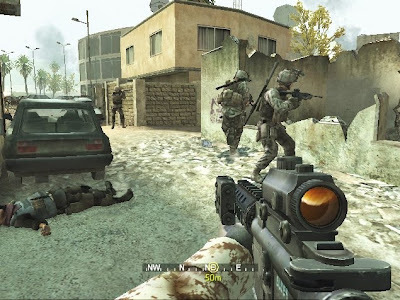 Regardless, has Call of Duty: Modern Warfare: Reflex Edition been worth the wait for Wii owners, or has this mission failed? The world is in turmoil. A fictional Middle Eastern dictator has possession of nukes, and he's not too shy about using them. 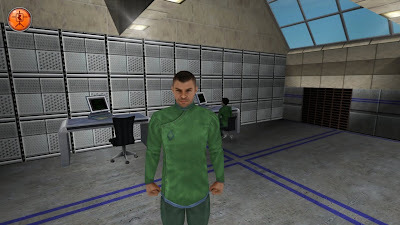 The United States and England take his threat of nuclear proliferation seriously, and the two superpowers team up to try to track this terrorist down. 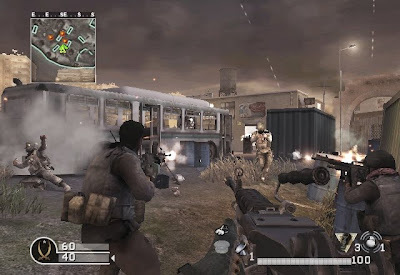 In Modern Warfare you switch off between playing as a member of the U.S. Marines and a soldier for the British Special Forces. The story itself is your typical big-budget video game story. Though it does an admirable job of trying to emulate Hollywood-- more specifically, a Michael Bay film. The story has plenty of twists and turns to keep your mission interesting, and everything ends with a satisfying conclusion. 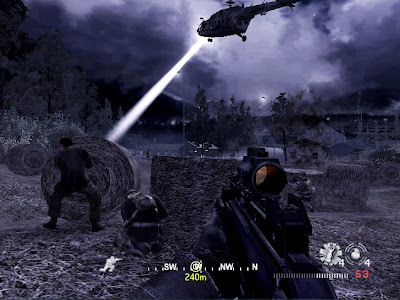 Modern Warfare takes place in three acts and a prologue and epilogue each. This totals up to around eighteen missions to tackle. Most missions you'll be following the instructions of your squad leader and teaming up with fellow squadmates as you blow away terrorists with a myriad of militant weaponry. Your teammates are quite smart, and they can take down large numbers of forces without you. Though unless you want to sit around for a while waiting, it's best you get into the action, too. Some missions you'll be using stealth and camouflage to outsmart enemy forces who will otherwise cut you down with bullets in a flash. This is one of the more stressful but not frustrating missions in the game. Another mission will have your squadron moving from enemy house to house, taking down all enemy forces inside. The list of objectives and requirements for mission completion are wide and varied. Seldom do you feel like you're doing the same thing. At the same time, the level design is created so it's basically moving from one big firefight to the next most of the time. Nonetheless, this formula seldom gets repetitive even with this structure. and using your camouflage well. I spoke of weaponry earlier, and there's plenty of it. Your character can hold two weapons at the same time, and enemies drop valuable weapons that can picked up and switched out. There's AK-47s, rocket launchers, sniper rifles, pistols, grenades, and other military weapons to use. On the gadget side, there's ground-infiltrating claymores, night vision goggles for those particularly dark spots in the game, and C4 which can be planted to various vehicles and buildings to blow them the heck up. There's so much to use that players will quickly find a gun that's perfect for them. While this mission is about avoiding that searchlight. 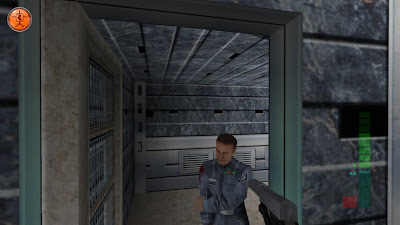 Hidden in most of the levels are intelligence computers owned by the enemy. 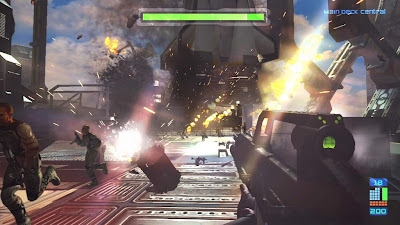 By downloading these throughout the game, you'll unlock cool cheats such as paintball mode and infinite ammo that can be used in the game's Arcade mode. This unlocks after the game has been completed, but with four difficulties, there's a level of challenge for everyone who plays. Apart from the single-player mode, there's an entire armada of multi-player options to select from. You can either join a party, add a friend (using those damnable friend codes), or enter yourself randomly into a game. The cool thing about multi-player is that even if you're losing, you're still making progress. Every kill, every assist, you gain points. These points are used to gain new ranks. As you earn ranks, you earn new abilities, perks, and weapons to use. New modes also open up for higher ranked soldiers. These aforementioned perks give you cool bonuses such as being able to call in for an air raid on a specific target or group of enemies. Treyarch is actively supporting the community, kicking out hackers, having double experience days, and adding new fixes to known glitches, so you're taken care of online. Additionally, there can be four separate profiles on one system which is always good for people with more than one gamer in the house/apartment/foxhole/whatever. There's sixteen different maps to explore online. Most of these are taken directly from the single-player campaign, but some are new, too. There's also plenty of modes to participate in including your standard solo and team deathmatch, a capture the flag type mode, and many, many more which are unlocked as your rank increases. Overall, lag isn't too much of a problem in Modern Warfare Reflex, and the community seems as active as ever. just without helpful voice chat. Moving from multi-player to the controls, Reflex allows players to fully customize theirs. Turning too slowly? Re-size the bounding box to a smaller size. There's a robust amount of customization options to utilize and make your own. You can even change what each button does to your liking. Don't like reloading with a shake of the nunchuk? Then you can map it to a button instead. This grand amount of customization is truly appreciated. 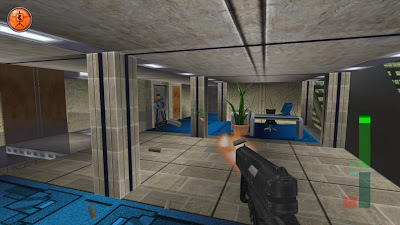 Like any other Wii FPS, turning is done by pointing your Wii remote to one of the sides of the screen. In conjunction with the analog stick on the nunchuk, you can move and aim around simultaneously with ease. Sure, it may take someone used to dual analog some practice, but once mastered it becomes hard to go back to dual analog. Activision did their best to hide the existence of Modern Warfare Reflex. Perhaps they were afraid it would steal sales away from the Modern Warfare 2. Regardless, it couldn't be because of embarrassment as Reflex runs and looks very well. Obviously it's nowhere near the level of the HD platforms, but it looks nice enough. There's some muddy textures here and there, and the occasional framerate jump, but other than that everything is here and pleasant to look at. 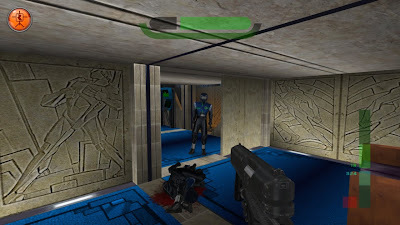 The voice work and soundtrack (including that god-awful rap at the end) were ported directly from Reflex's big brothers, and yes, they sound just fine. Gunfire everywhere but not a drop to drink. 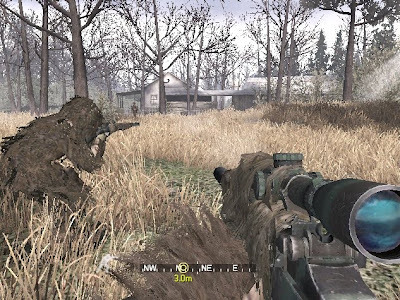 Call of Duty: Modern Warfare: Reflex Edition may be two years late, but for Wii owners it's the best first-person shooter on the system. It has an intricate online system, terrific controls that I greatly prefer to dual analog (but not quite keyboard and mouse), and all of the options and fun of the HD original. Although the visuals are severely downgraded compared to the PS3 and 360, they won't ruin many players' experience with this game. 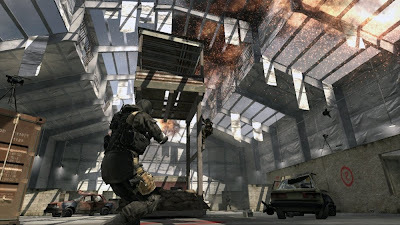 Now one of the best military shooters of all time is now available to Wii owners, and fans of the genre certainly shouldn't miss out on it. Recently the president of EA said finding success on the Wii was "confounding". I found this statement rather confounding myself due to various reasons. This seems to be a common thing with third parties on Wii. Many publishers are hesitant to put big budget content since it's failed them in the past. That's a self-fulfilling prophecy if I ever heard one. Firstly, third parties have no one to blame but themselves. Answered that question quickly, didn't I? They were the ones who created the current market on Wii by filling it with garbage. What games that aren't garbage they produce get limited marketing and next to no commercials. 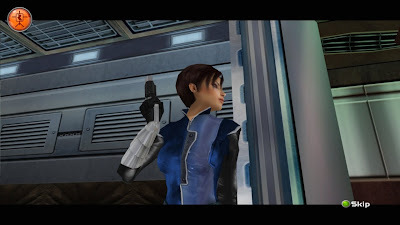 Again, compare the marketing of the "biggest" Wii third party game, The Conduit, with the marketing of Rogue Warrior, a B-level action game for the HD consoles. Rogue Warrior has received way more of a push. What games deserve to sell on Wii? Little King's Story? Muramasa? Dead Space: Extraction? Maybe. But which ones received proper advertising? Oh, yes. None of them. So none of them "deserved" to sell. Quality can only do you so much in the games business. Customers have to know your game exists before they can buy it. Even when they say it on shelves, how should they know what it's about? That's why I think games like Carnival Games and its ilk do so well. It's obvious when you look at the box what Carnival Games is about. Unless you're a moron which I was told all Wii owners are. "They're casual, they're stupid. They're mass-market. They're mainstream!" Oh, my! I'm getting scared! At least that is what you'd be led to believe by looking at the majority of third party software for Wii. Then they whine when their games don't sell. No, really. You think? You put out heaps of garbage, and you expect them to sell? You plan to cheat consumers out of money by having them purchase crap on a disc? They also whine that Nintendo gets all the sales. I wonder why. Big mean Nintendo getting all the sales. I guess you can blame Nintendo. No, not for everything like some companies, overzealous console warriors, and fat, bearded bloggers. Nintendo is the only company this generation seeing mass profits in a time of loss. They're set. They need not do anything for third parties who crapped on them two generations running and now this third one. I think the solution is simple: Nintendo should stop making games that are of quality and games that don't treat their players like mentally retarded or redheaded stepchildren. They should make the same garbage games that everyone else does, so third parties will have a chance. In all seriousness, I think helping third parties with advertising of top games would help out a lot. It wouldn't set the world on fire, but we've seen Microsoft do this (because their first party studios are highly inferior to either Nintendo's or Sony's-- why else would every year be shooter year on the 360?). So that's the problem with third parties. They're not going to fix their mistakes. They're not going to dare admit they fail at understanding the Wii because in their perception, it's the Wii's fault. Not their own. Will this self-fulfilling prophecy ever change? Probably not this generation. Probably not next either until Nintendo stops making good games that sell well. They don't sell well because they're from Nintendo. They sell well because they get proper advertising, and don't come off as gifts for your mentally ill cousin. Until then, third parties will continue to bleed money, studios will close, and decent people will lose their jobs. Is the Wii the savior of these companies? No, but we've seen the HD business structure is unsustainable. Might as well try something new, guys. And with that, I'm through talking about this Wii/third party nonsense that pops up every other week. Adieu! Last night, we looked at a slew of overlooked and under-appreciated Gamecube titles. Tonight, we're going to be showcasing some of the dominant PlayStation 2's games that went without much celebration. There's a huge catalog of games to choose from, so we'll have plenty of installments for you in the future. So settle down if your favorite overlooked game isn't mentioned this time around! 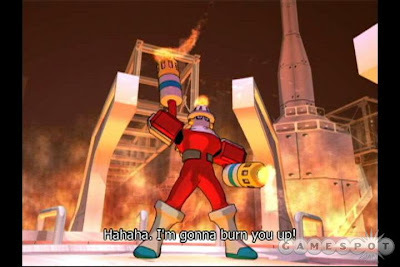 After a horrible attempt at taking the franchise into true 3-D, the developers behind Mega Man X8 decided to go with a 2 1/2-D perspective with colorful 3-D models and backgrounds. As usual, there eight Mavericks to take down, each with their own themed levels and weapons to obtain. While two of these levels were throwaway cycling missions, the others were quite good. 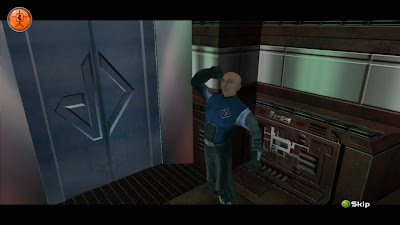 This was the first game in the series whose final boss was not Sigma. Instead, you took on the maniacal Lumine in an epic showdown for world supremacy. With familiar characters such as X, Zero, and Axl which could team-up to take down bosses and foes and play through levels, and dozens of secrets to unlock, Mega Man X8 is a brilliant way to cap off the series. This brutal brawler is all about bashing foes in as many ways as possible from fists of fury to supernatural powers from the one and only God Hand. For gamers who have played something like MadWorld, you'll feel right at home with the action. It's quite similar. For everyone else you have a beat-em up title from the makers of such great games as Okami and Viewtiful Joe. 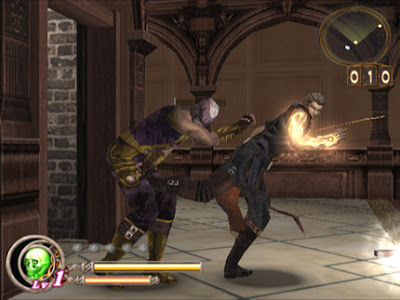 The game seldom takes itself seriously from the simple story to the hilarious end credits theme, God Hand is one overlooked and underrated game that is sure to please. Forget the WWE and TNA! Fire Pro Wrestling Returns is where it's at! 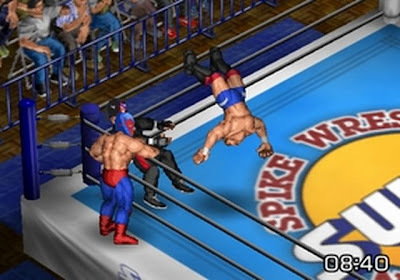 Using customizable 2-D sprites that allow you to make everything from ring apparel to ring patterns to your very own created wrestlers, Fire Pro is more akin to something like Super Wrestlemania as opposed to Wrestlemania 2000. There's a host of match types from cage matches to one-on-one brawls to win over the crowd. If you have a special flash drive, you can actually save other creator's creations to your own game and use them! Not bad for a wrasslin' game! Foooooooore! 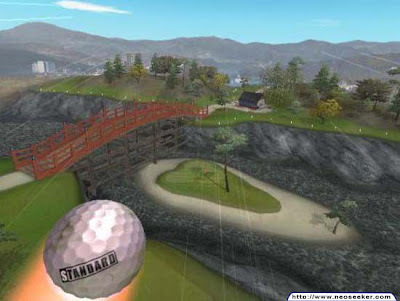 The best of the Hot Shots Golf franchise brings more characters, more courses, and more options than ever before! Choose from one of sixteen characters including Ratchet from Ratchet & Clank and Jak from Jak & Daxter. 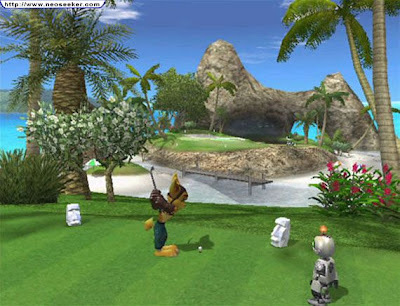 Play on one of twelve uniquely-designed courses each with their own world location and theme. You can even play in any of the four seasons. If that's not enough there's a host of options including online, mini golf, several mini-games, and an in-depth career mode to collect new characters and costumes for them. If you're jonesing for some golf action, check out the best cartoon golfer around with Hot Shots Golf Fore. This title was merely a blip on the radar compared to other Eastern games. In Graffiti Kingdom, you controlled a prince who, with a special wand, could transform into any monster he wanted. I say any because it was true. You could create your own monsters with the in-game tool or just edit preexisting ones to your liking. There were hundreds of monsters to defeat and collect their cards that grant you the ability to transform into them. While Magic Pengel was more a monster battling game, Graffiti Kingdom is more of an action-RPG with high focus on fighting and exploration. Add in a soundtrack by Yasunori Mitsuda of Chrono Trigger/Cross fame, and you have a nearly irresistible package that was overlooked by millions of PS2 owners. Roll with it in We Love Katamari, the sequel to the sleeper hit, Katamari Damacy. 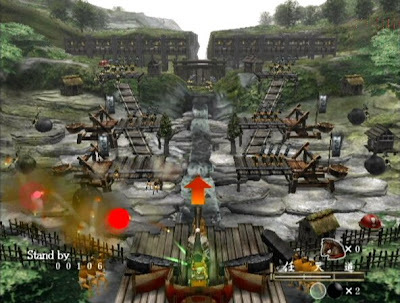 The game was pretty much the same only with new areas and levels to explore. The premise was basically the same, roll up small items first. When you've rolled up enough, your katamari will expand, allowing you to roll up larger objects and reach new areas. The cycle continues until your katamari is at the specified size. Then it's just a high score affair afterward. 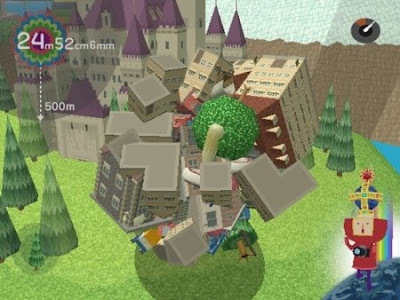 New to the series was the ability to play with a friend, trying to roll your katamari around in unison. 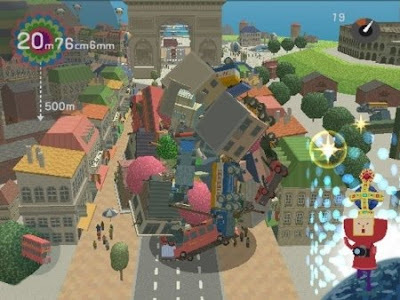 While nothing earth-shatteringly new, We Love Katamari is often considered the best in the franchise which it's a shame it didn't sell all too greatly. There you have it. Another installment of Most Overlooked and the premiere edition for the PlayStation 2. Have a game you'd like to see? Let us know in the comments. November is the second biggest month for video game sales with December being the first. Let's check out sales for this all-important month. In a surprising turn of events, the 360 outsold the PS3 this month. In other news, the DS and Wii once again dominate the sales charts with four Nintendo-developed games on the top ten and over two million consoles sold between the two platforms. The PSP continues to sell poorly in the U.S., nearly being eclipsed by the almost decade's old PS2. The bigger winner this month is Call of Duty: Modern Warfare 2 which sold six million across two platforms, the 360 and PS3. Runner-ups include New Super Mario Bros. Wii-- already a million seller-- as is Assassin's Creed 2. Then there's Left 4 Dead 2 with nearly 750,000 copies sold, Wii Sports Resort, Wii Fit Plus, Dragon Age: Origins, and Mario Kart Wii. Welcome to an all-new edition of Most Overlooked. This time around we're doing something different. We're heading back to past generations now, and first but most definitely not last on our journey through generations gone is the Nintendo Gamecube. Oh, Gamecube. The world shunned you even with all of your excellent games. The following games are either overlooked, underrated, or unappreciated in the Gamecube's robust catalog of games. In most cases, your mileage may vary. A big reason why this game is overlooked so much is that each player needed a Game Boy Advance and link cable to play. Regardless, Four Swords Adventures is truly an enjoyable single-player game. You control all four Links, set up formations, solve some perplexing puzzles in each level (most of which extremely clever), bash baddies, score force gems, and cooperate to proceed and complete each of the game's twenty-four levels. These took place all around Hyrule and in familiar locations like Lake Hylia, the Eastern Palace, Death Mountain, and Kakariko Village. For a non-traditional take on the Zelda franchise, look into Four Swords Adventures. 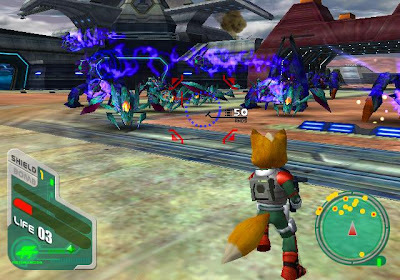 Compared to the fantastic Star Fox 64, this sequel paled in comparison. 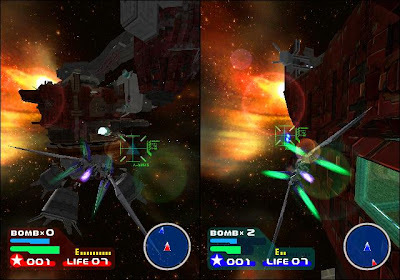 Standing... er... flying on its own, however, Star Fox Assault was pretty darned good. The on-foot and Landmaster portions of the game took getting used to, but after a little while they become second nature. The traditional corridor flying missions are really where this game shines along with its top-notch presentation and impressive, orchestral soundtrack. 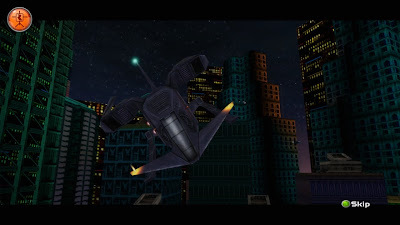 What other Star Fox game can you leap out from your Arwing, run around, and hop into your Landmaster? 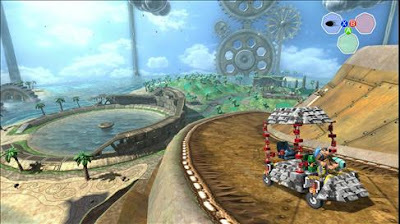 Meanwhile, the multi-player mode was one of the more fun experiences on the Gamecube-- even without bots. These colorful romps were enjoyable adventures starring everyone's mad bomber, Bomberman. 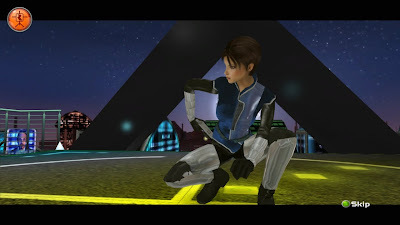 Generation was the first game released on the Gamecube, and it was done so early in the console's life cycle. Likewise, Jetters came out in the latter half of the Gamecube's short, tragic life. Both games sport an awesome cel-shaded art style, the bombing bad dudes action you know and love, and a multiple levels and bosses to blast through. 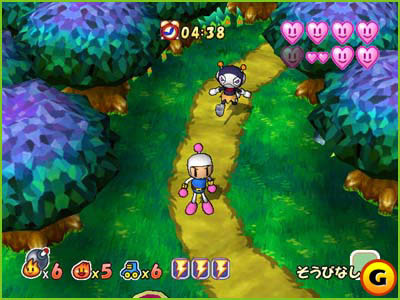 This game's more similar to the Bomberman 64 line of games except with a less serious story attached to them. They were at bargain bin prices to begin with, so there's no wonder how cheap you can get each for now! A spin-off of the Mega Man Battle Network games, this platformer will surely test the reflexes, patience, timing, and platforming skills of whoever plays it. As you played, a bar would fill up. Once it did, the blue chip bomber would have access to an assortment of chips. Chips served as weapons, helpful abilities, or traditional items. The crux of all this is that the bar filled up soooo slow that it could become tedious waiting for the exact chip you wanted. 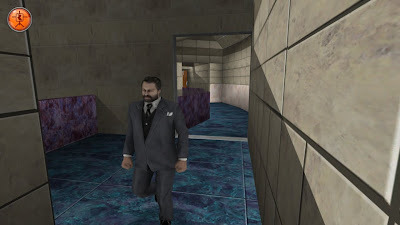 Regardless of this, Network Transmission was no walk in the park with difficult bosses and challenging gameplay. Despite these shortcomings, Network Transmission remains an underrated gem in the Gamecube's chip folder. The beat goes on with Donkey Kong. 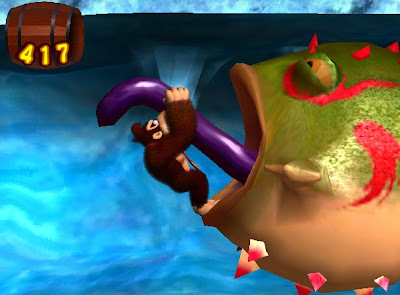 This game came with or without the bongo controller, the vessel that would move DK around in this innovative platformer. Hitting the left bongo would move the top banana left while hitting the right would move him to the right. 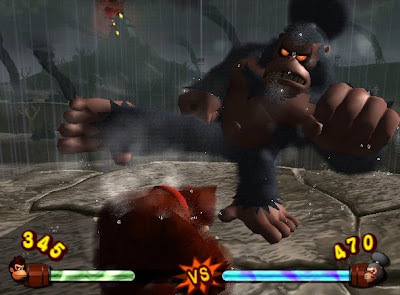 Hitting both together in unison would make DK jump up, and clapping would allow my main monkey to grab onto enemies, flowers, and whatever else have you. Each world was comprised of two levels and a boss battle. These boss battles required the player to wallop on the bongos to inflict damage on a weakened foe. While not a poor seller, a lot of the Gamecube fanbase looked over the impressive and intuitive game. Not to be confused with the current president of the United States, Obam-- dammit! Odama was another interesting experiment. It was a pinball game that utilized the same controller that Donkey Kong: Jungle Beat did-- the bongo controller. I can dig it. The left bongo operated the left flipper and the right moved the right. Meanwhile your goal of feudal conquest involved moving your soldiers across the battlefield, taking out enemy troops with your "pinball", and saving the day for imperialism everywhere! While sometimes frustrating, Ob--almost did it again-- Odama shines as an intriguing game for those with dust forming on their bongos. No sexual euphemism intended. There we go. What games would you like to see in future editions? Were there any games listed that you disagree with? Let everyone know in our comments section! It's time for another big blockbuster of Quickie reviews. This time around we're going to be exploring the 360 catalog. As always, the following games are those in my personal collection of titles. We'll be ranking these games on a scale from 1-5 with 1 being the worst and 5 being the best. Let's jump in and get this blockbuster busted! That does it for another edition of the Quickies. See you next time! We have some goods for you this evening! 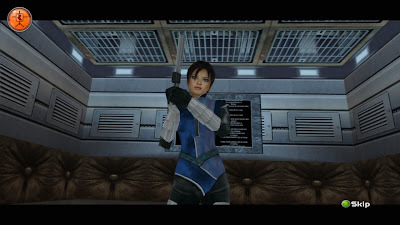 It's some brand-new screens and an achievement list for the upcoming Perfect Dark for Xbox Live Arcade. This is probably one of most wanted games, and if I had known it was coming out next year it would have been in my most desired game list. Check them out as they were taken down from the source which makes them seem all the more real. We've been busy this Monday. We've already seen and heard my favorite VGMs, looked at some new pics of SuperPhillip: The Game, and now we're taking a gander at a Zelda review in anticipation for Spirit Tracks. Here we are with a retro review of The Legend of Zelda: Four Swords Adventures. Are Four Links Better Than One? The Zelda franchise is the most celebrated in gaming. 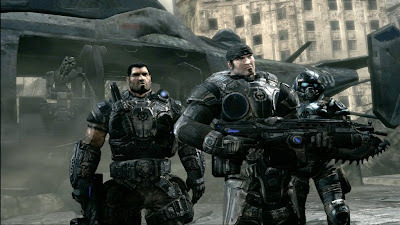 For the longest time, the series has been known solely for its single-player excursions. 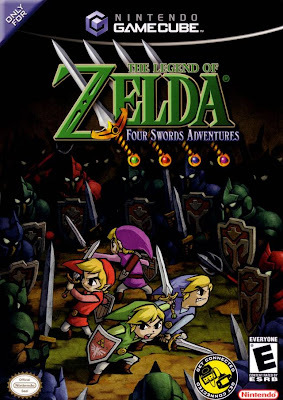 No longer with the Game Boy Advance Four Swords game and this multi-player focused Zelda title, The Legend of Zelda: Four Swords Adventures for the Nintendo Gamecube. With four Links to control and solve brain busters and smash massive monsters alike, are four Links really better than one? There's two games in Four Swords Adventures. There's the standard Hyrulean Adventure mode which is main mode of the game, and Shadow Battle which is purely a competitive multi-player affair. 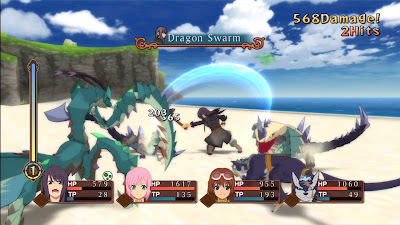 Hyrulean Adventure can be played solo or with up to four players. 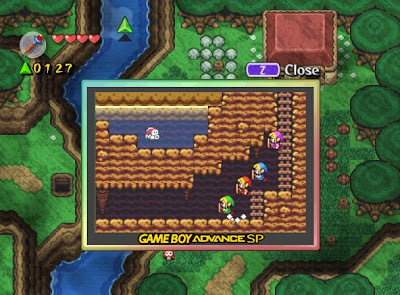 In order to play multi-player, each player needs a Game Boy Advance. This makes trying to find friends with Game Boy Advances a hassle indeed. Regardless, if you play alone, you control all four Links. You can split them up and control each Link separately with the X button, you can call your Links into one of four formations from a cross, to a vertical or horizontal line, or in a box. 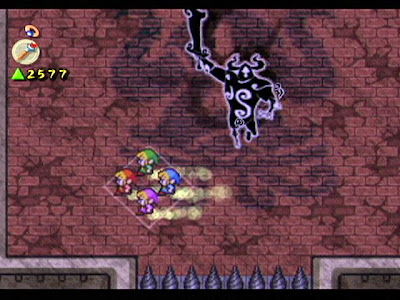 In two player, each player controls two Links, in three player, two players control one Link and the third controls two, and in four player, everyone controls one Link. What makes multi-player fascinating is that you'll have to work together in order to proceed through the levels. 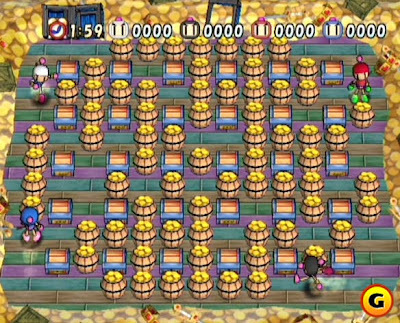 Also, certain puzzles are altered compared to single-player to create a brand-new experience with more than one player. Four Swords Adventures takes place across eight areas with three levels to each area. 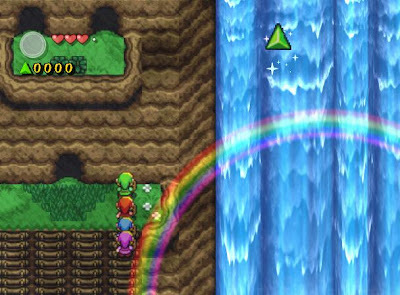 Unlike traditional Zeldas, these levels are stand-alone from one another. This means that nothing carries over between levels-- items, heart containers, stat-boosters-- nothing. Another twist is that you can only carry one item at a time. These include Roc's Feather, the Pegasus Boots, the fire rod, bombs, bo and arrows, boomerangs, and many more. These items can be leveled up by a great fairy. To use the Pegasus Boots as an example, when they're leveled up, that means you can run across chasms and holes with ease. 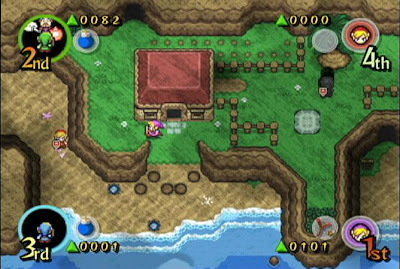 Most levels have an overhead perspective while a select few are side-scrolling like Link's Awakening. You'll go to familiar locations such as the Eastern Palace, Lake Hylia, Death Mountain, Kakariko Village, the Lost Woods, and the Desert of Doubt. The levels themselves all feel like dungeons, even the outdoor ones, with puzzles thrown in here and there. 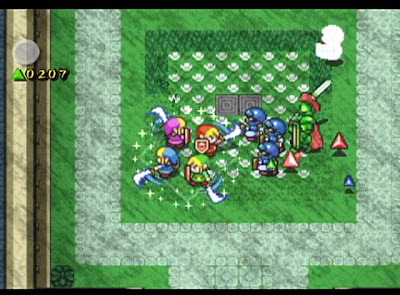 Occasionally you'll encounter ambush rooms where your four Links will have to come out fighting against twenty or more enemies. It's very hectic and crazy. Working together does wonders in this game. 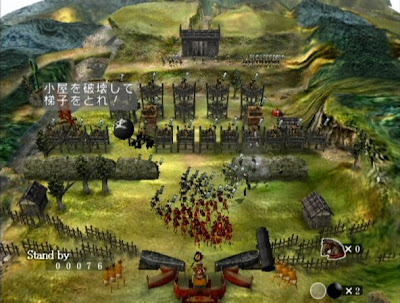 Usually a level ends with a small boss battle, with every third level ending with a big boss battle to save one of the seven maidens. You'll face off against the likes of Phantom Ganon, bomb-hating Dodongos, and gigantic worms. Many times you'll take on Shadow Link-- nearly every level. 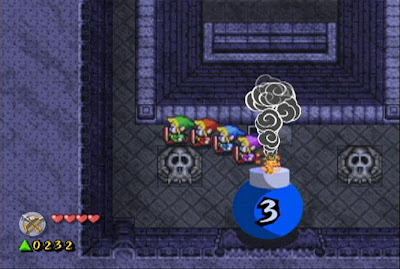 Sometimes he'll toss giant exploding bombs that will kill your quartet of Links in one blow unless they hide inside a cave while others he'll just be causing havoc inside a level. Then there's the encounters against him. Each has a different hook to it from fighting on icy platforms to a fiery wonderland. Oftentimes he'll change color which means whatever color Link he is is the one you attack him with. Phantom Ganon's back, and he's not here to chat. It's not all action in Four Swords Adventures, however. The use of four Links brings about a whole new variety of perplexing puzzles to solve. Some are relatively simple such as stepping on four buttons to unlock a door while others are much more complicated. As an individual Link, you can pick up another Link and toss him across short chasms. There's also traditional block-pushing puzzles, torch-lighting affairs, switch-puzzling puzzles, and tons of other brain twisters that will feel home to many Zelda veterans. What won't feel home to many Zelda veterans is the use of the Game Boy Advance. Like Final Fantasy: Crystal Chronicles, all players must have one-- except when playing solo-style. The reason each player needs a Game Boy Advance is that when you enter a house, cave, or a Dark World portal, the game switches from the television screen to your Game Boy Advance. 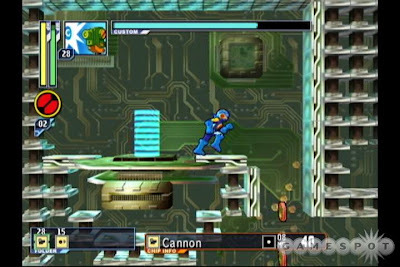 In solo mode, the GBA screen pops up over the television action, and it can be removed with the Z button. It's cool in practice, but the actual finding someone-- much more four players with GBAs-- is a lofty aspiration for sure. on the TV in single-player. Something odd in Four Swords Adventures are the force gems. They replaced rupees in this journey. In order to complete a level and smash through the magical gate blocking exit into the next level, you need to collect 2,000 of these gems. If you don't have the gems by the conclusion of the level, you're warped back to the start. Once you collect 2,000, you're warped back to the end of the level. What's the point of this really? It's great in multi-player as it's both cooperative and competitive in nature to see who can collect the most force gems. In single-player, it's pretty much worthless. Speaking of competition, the other mode in Four Swords Adventures is Shadow Battle. It's pretty much every Link for himself to see who can finish off the other three Links before they're taken out themselves. There's five or six arenas to compete on, and that's pretty much all there is to say about this mode. It's an interesting distraction, but at the end of the day that's all it is. The visuals are reminiscent of A Link to the Past. Any fan of A Link to the Past will fall in love with Four Swords Adventures' presentation. 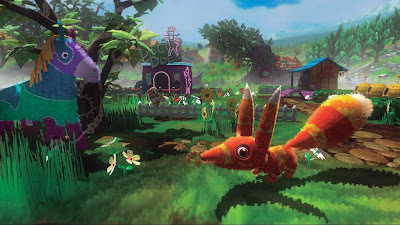 The art style utilizes familiar graphical assets from the game. Meanwhile, the Link's themselves, explosions and enemy destruction animations use a Wind Waker approach to them. The game zooms in and out depending how far each Link is from one another. Additionally, the soundtrack borrows heavily from A Link to the Past with remastered and remixed versions of various LttP tracks. The Game Boy Advance sections are in comparison have much less going-on in them. There's no smoke effects, Wind Waker effects, or anything of that matter. It's fairly tame in comparison. Four swords might definitely be better than one in The Legend of Zelda: Four Swords Adventures. The levels are expertly-crafted with little in the way of back-tracking, the aesthetics are wholeheartedly pleasing, and the puzzles created by having four Links instead of one are truly maniacal. 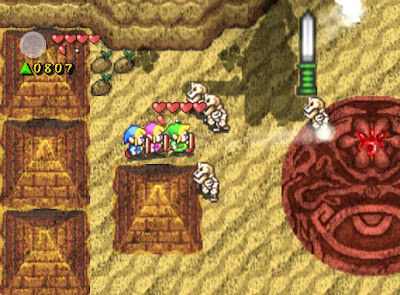 An often overlooked entry in the Zelda franchise, Four Swords Adventures get a hearty recommendation with or without friends to play it with.